Learn more about the Administrative Intern Program! 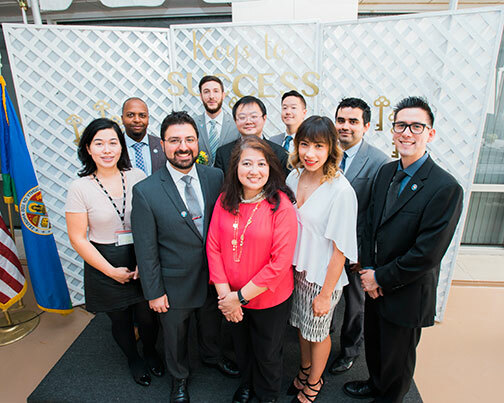 As paid, full-time County employees, Administrative Interns experience Los Angeles County government first-hand through two-year internships that include practical job assignments and on-the-job training. Interns perform analyst assignments in such disciplines as human resources, budget, contracts, and public policies while assigned to various County departments, including Human Resources and the Chief Executive Office. As an equal opportunity employer, applicants are welcome from all backgrounds who have a four-year bachelor’s degree in any field of study from an accredited college or university. The program aims to give interns an in depth understanding of County administration through real-life assignments and approximately 120 hours of training over a 2-year period. Interns receive an introduction to County government as they attend Board of Supervisors sessions, Civil Service Commission meetings, and departmental tours. And their roles allow them to learn about rules and regulations, employee relations, and various County functions. After successful completion of the program, the intern will receive a permanent position with the County as an Administrative Analyst at one of 35 County departments. In this new role, they will be able to utilize the skills and knowledge they’ve obtained during their time as an intern. What is the Administrative Intern Program? The program started in 1933 when it was known as the Administrative Trainee Program. Through the years, it has built a reputation of recruiting and training promising individuals for administrative careers in public service. Who is eligible to apply for the Administrative Intern Program? Candidates must have completed (or be within six months of completion of) an undergraduate degree in any field from an accredited college or university. How long will my name be on the eligibility list? The names of candidates receiving a passing grade in the examination will be placed on the eligibility list in the order of their score for a period of 12 months following the date of promulgation. This list is available to be used by County departments to recruit for entry-level Administrative positions. 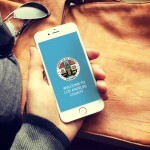 The County of Los Angeles offers a comprehensive benefits program that includes but is not limited to medical, dental, life insurance, disability insurance, annual elective leave, retirement, and 401K Savings and 457 Horizons Deferred Income Plans. My two years in the program offered me countless opportunities to work with a great group of County employees and exposed me to multiple work programs. This program afforded me the opportunity to develop and enhance essential skills through various trainings and the fostering of valuable professional relationships.